We are a group of renewable energy enthuciasts trying to spread energy conservation and renewable energy knowledge to school children. As part of the educate concept we emphasize on training children about energy conservation and its benefits. All our modules are supported by Audio-Visual presentation, and includes video presentation. Which Schools are involved ? 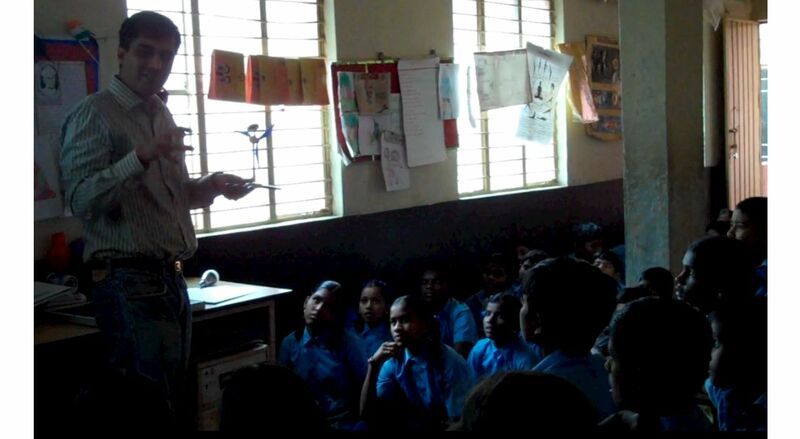 At this time we are working with following schools to conduct Solar For Schools program. If you would like to invite us to your school please write to us at info@solarforschools.in . Government Higher Primary School, Parangipalya, HSR layout, Bangalore.